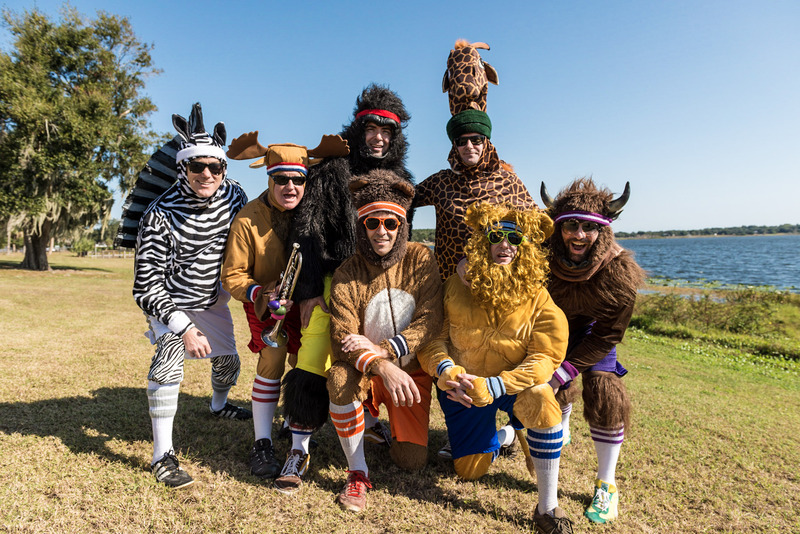 Bears and Lions are an independently managed band that made a splash at KindieFest in 2013, played for a world-wide audience on Sirius/XM in 2014, shook things up on PBS’s Pancake Mountain in 2015, and rocked the Gasparilla Music Festival in 2017. Their mixing of a theatrical stage show and rocking live music keeps the kids involved and entertained as they tell their stories of their love of pancakes, following your dreams, making unusual friends, accepting others, and teamwork. Lion, Bear, Gorilla, Moose, Giraffe, Bison, and Zebra! Lion isn’t sure about too much of his childhood except that he has vague memories of running wild and free through the savannah with all of his friends. Cursed with a rebellious streak at the age of fifteen, he struck out on his own and wound up trapped in a circus. After befriending the Bear and finding an ally in the Bearded Lady he escaped and co-founded the Club in the Woods. 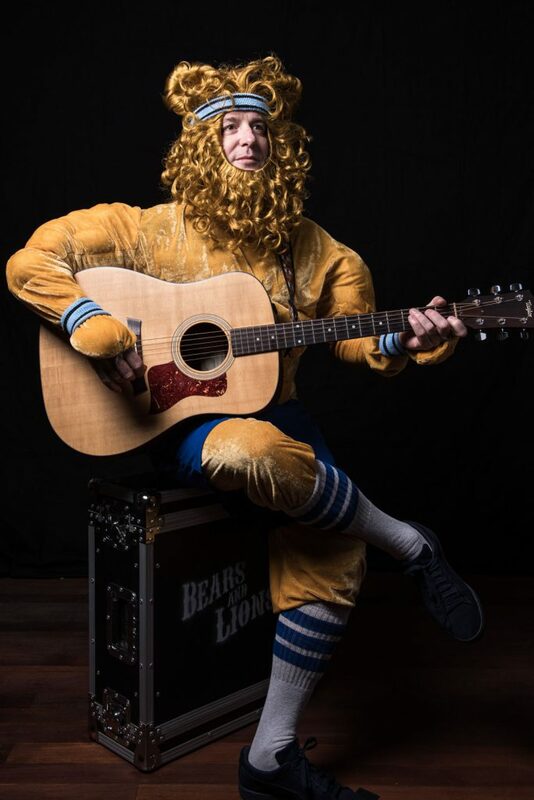 Lion spends his days writing songs with his best buddy the Bear, eating pancakes by the quadruple-stack, and like all cats, stretching and yawning in the open sun. The Lion has a huge roar and if he gets wound up he’ll be jumping off furniture or a tree stump or a music stage in no time! He is the first to suggest an adventure, which often means he is the first one to get into trouble and need help from all of his friends! The Lion has a big ol’ heart and he uses it as his compass to guide him through life. Bear grew up in the woods surrounded by nature and all of his furry companions. 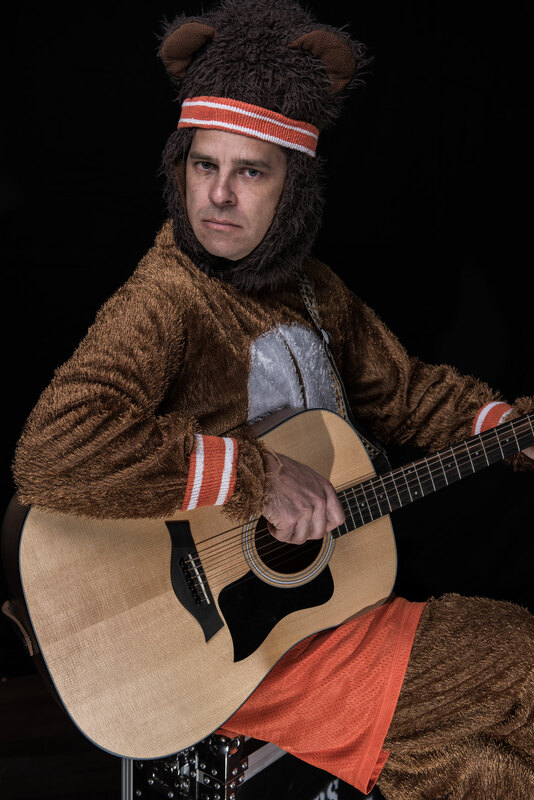 He learned to love the rhythms and seasons of the wild outdoors and felt at home with pine needles and tree sap in his fur, which is why it was such a tragedy when he ended up captured in the circus. 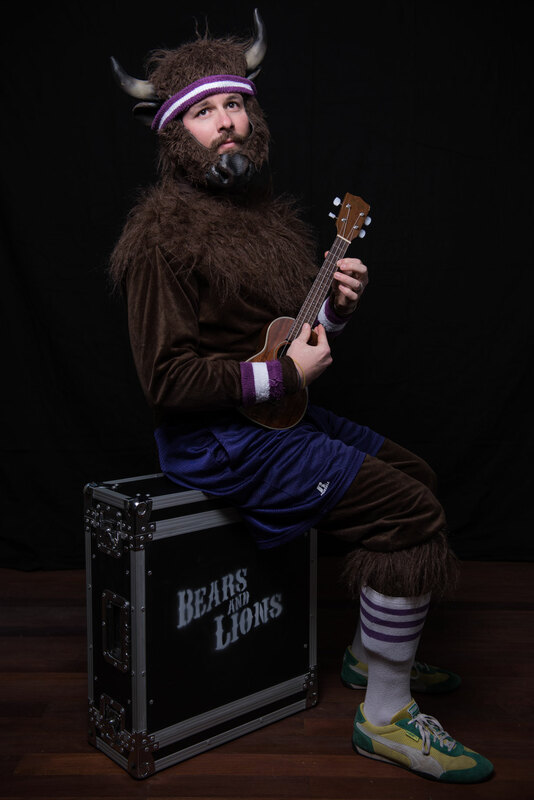 Luckily, he met The Lion and formulated a plan with the Bearded Lady to escape; along the way he learned to play songs and created the Club in the Woods so that he and the Lion can perform music in complete freedom. Bear knows a bunch of instruments but particularly loves the piano and singing—you can always tell when he has been around because pancake syrup will be stuck to guitar strings or drum sticks! He is usually more quiet than his rambunctious friend the Lion, offering a tranquil justification about why he is late to a meeting at the Club. If you have a conversation with the Bear, you’ll find him truly listening; he’s trying to find the music in your voice and respond to it! The Bear is a good companion on any escapade one might find themselves getting into, and he always has your back! Gorilla comes from one of the strange square-shaped states in the middle of the U.S. They do things in a funny and odd way there, and so the Gorilla can’t help but be funny and odd himself! He tells jokes that no one else understands, and talks about old bands and artists that no one else remembers. 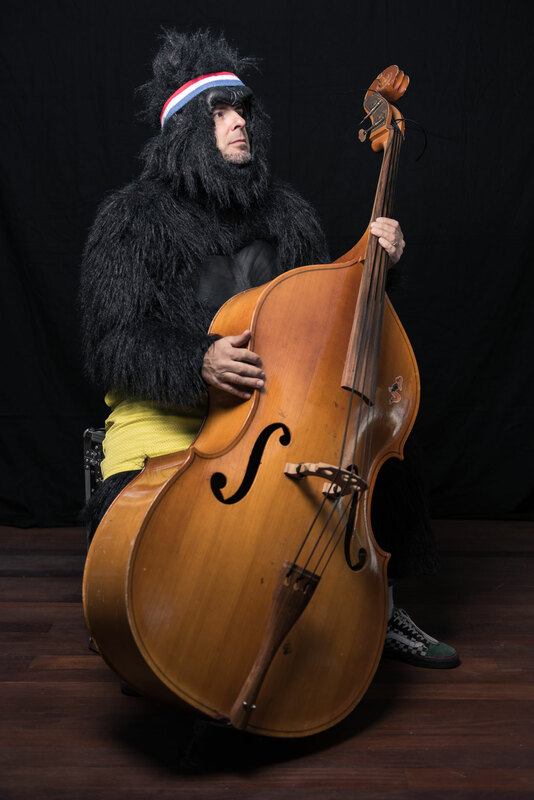 Gorilla also has to be very strong to play his big upright bass, so he is up early in the morning exercising when other animals are still snoring. But in addition to so many pushups, he also likes paintbrushes and clay—the Gorilla is an artist! Lots of the drawings and paintings that the Club has on its walls are done by the Gorilla, who usually has paint or clay stuck in his fur by the end of the day. Gorilla likes to be a simple animal, with simple joys and genuine smiles. He is usually the first in line to cheer a friend up because he can’t stand to see a fellow being down in the dumps. Sometimes he gets a little scared when the other animals get into arguments, but afterward he’s right there reminding everyone how lucky they are to have each other and play music together. The Gorilla really, really, really loves banana pancakes. Moose has spent most of his life in areas where people and animals work together in harmony—farms and ranches and orchards and gardens. He knows how to work in different environments and with odd configurations of folks; he knows teamwork! Because he’s such a team player he has committed himself to learning lots of percussion instruments in addition to trumpet. The Moose helps carry the rhythm AND the melody, and his dancing keeps up the energy level at any party or concert. He can also treat an injury or sickness quite well, which comes in handy when other animals get rowdy. Moose comes from tundra, where both animals and people work hard. He knows that sometimes nature can be darn inconvenient and that one has to prepare for difficult situations! Because he studies the details and anticipates what is coming, he’s a good one to contribute to any project. He’s also very silly and has tons of jokes—you’ll hear them whether you’re ready or not! Giraffe is quiet, so very quiet. Not much is known about where he comes from or what he does when he’s not at the Club, but he seems to have secret friends all over the place. He’s always there for his friends when they need him—especially if it means being super noisy on the drumkit—but once the music is finished or the adventure is over, then he is off to his own house to sleep in comfort instead of getting smelly with the other animals. He doesn’t talk much about what is at hand, but when he does, people have a tendency to listen. He can get frustrated by the sometimes calamitous nature of his fellow animals, but in the end, he also tolerates it because it makes his life that much more interesting. 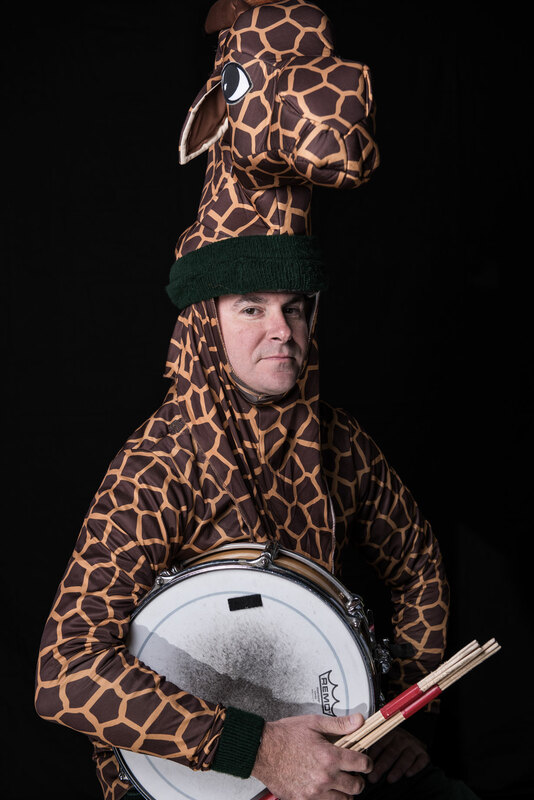 Giraffe is so tall because he eats more acacia than anyone else in the band. Bison spent his formative years on the prairie just outside of town, being alone and pondering on some of the questions that life would throw at him. He talked with a lot of other animals and also a lot of other people about what was important to them and why they did the things they did. These talks were often best when they were around a sacred fire or on the banks of a secret spring. He traveled for some time, trying to find answers to persistent riddles. And when we stumbled upon the Club in the Woods full of furry friends, he knew he could figure some things out with them! 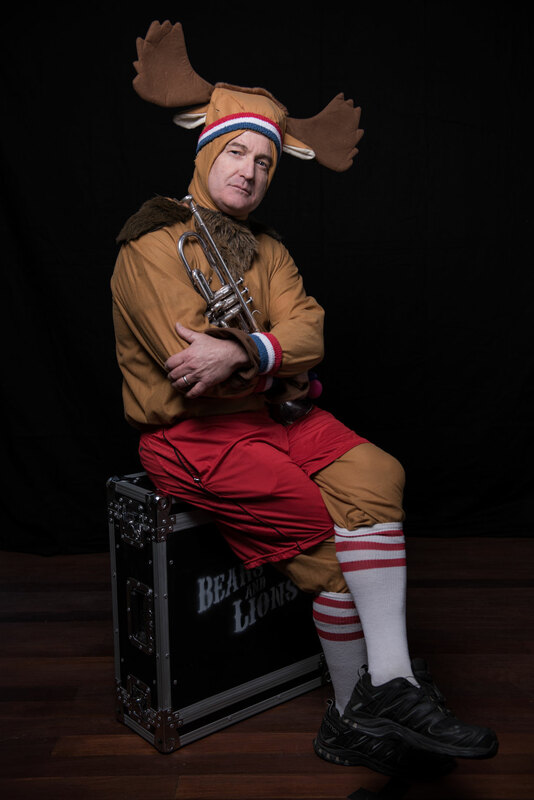 To help out the other animals in the best way possible, he plays many different instruments and tries to collaborate on whatever is needed in the Club. This is not to say that the Bison is quiet and alone all the time; his laugh is just as big and noisy as the other animals, and he can get into trouble with the best of them! But once the trouble is done he usually has a long, rambling story about why the trouble was so important in the first place. The Bison is always reminding the other animals why their journey is so important. Zebra is a jack-of-all-trades type animal, and for most of his life he has helped with “production” which is a strange zebra-word for “fun stuff.” Because the Zebra likes music and parties and creativity so much, he is the first animal to lend a hand in making those things happen! 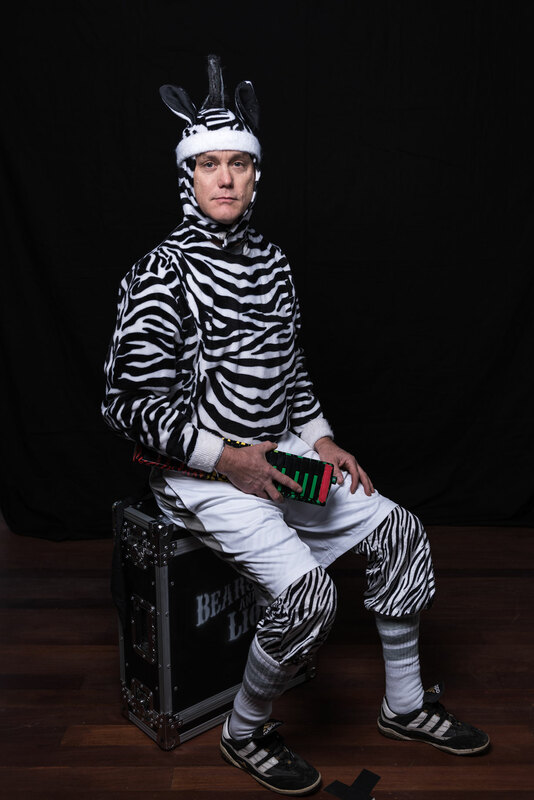 Zebra is also the official documentarian of the Club in the Woods, so if you see a video of the band you can assume that there are stripes behind the camera. He also has lots of tools and gadgets to help the other animals with whatever they are trying to do, which means that he is usually doing something that none of the other friends can comprehend. If it’s technical and creative, then expect the White-And-Black Attack to be on the scene!